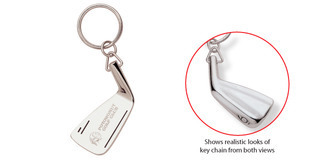 A polished chrome metal golf club/wedge shaped keychain. Laser engraving recommended. Printing will fade over time. Comes in a gift box.